ST. LOUIS, MO--(Marketwired - Jan 14, 2015) - Diet and exercise typically cannot improve the appearance of the neck, explains Dr. Jeffrey Copeland, a plastic surgeon in the St. Louis and St. Peters area. The skin and muscles start to sag and lose elasticity as a result of time, environmental effects, and genetic predisposition, he continues, and fat may begin to develop as well. Dr. Copeland says that, although dermal fillers, exercise, and other non-surgical treatments may not eliminate the excess skin, neck lift surgery is designed to address these specific issues and more. Furthermore, he states this procedure has the ability to rejuvenate the entire appearance, especially when combined with other cosmetic enhancements. In addition to addressing sagging skin, Dr. Copeland details other common benefits of neck lift surgery, saying platysmal bands -- the thick cords that stretch from the bottom of the chin and jaw to the lower neck -- can also be minimized, and both fine and deep wrinkles can often be reduced as well. One of the most popular benefits, he notes, is the potential to contour the jawline and diminish the appearance of a double-chin. The board-certified plastic surgeon clarifies that neck lift surgery alone cannot remove excess fat; however, when combined with facial liposuction, fatty deposits that contribute to a softened jawline typically can be eliminated. Only a consultation with an experienced plastic surgeon can determine whether neck lift surgery is an appropriate option for a patient, Dr. Copeland emphasizes. Additionally, he says other cosmetic enhancements may be recommended to best achieve individual aspirations, such as facial liposuction, facelift, fat grafting, or eyelid surgery. Ultimately, Dr. Copeland believes neck lift surgery can often provide an abundance of benefits for patients experiencing sagging skin along the neck and other common signs of aging in this area. He advises individuals considering this procedure to research a qualified, board-certified plastic surgeon who is attentive to their needs and provides comprehensive care. Certified in plastic surgery by the American Board of Plastic Surgery, Dr. Copeland received his undergraduate degree and medical degree from the University of Missouri, Columbia, where he also completed his residencies in general surgery and plastic surgery. He received additional specialized training with a fellowship in microvascular surgery. 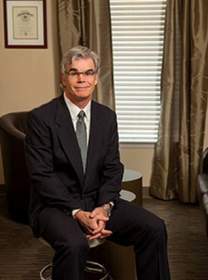 Dr. Copeland previously served as board chairman of Primaris (the Missouri Quality Improvement Organization) and as president of the Missouri Association of Plastic and Reconstructive Surgeons. He is presently serving as the President of the Missouri State Medical Association (2014-2015). He is available for interview upon request. For more information about Dr. Copeland and his practice, please visit copelandcosmeticsurgery.com and facebook.com/copelandcosmeticsurgery.